Blog - New Year, New Products, New Resolutions. 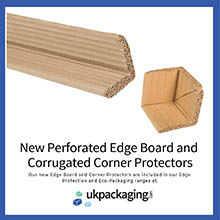 A big, and belated, welcome to 2019 from all of us here at ukpackaging.com! Last year, we ended the year with the introduction of our new Environmentally Friendly Packaging range, also introducing our Cotton String, Sisal Twine, and Card Tags as part of our Green Christmas initiative. 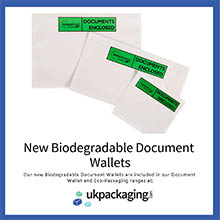 This year, we’ve started as we mean to go on, and added even more products to the range, including Biodegradable Document Wallets, Perforated Edge Board, and Corrugated Corner Protectors. This is a range that we plan to consistently grow in an effort to offer eco-friendly alternatives for as many products as possible. 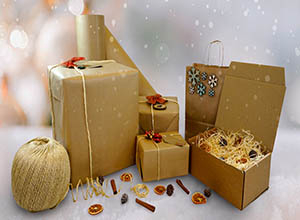 We understand that our Eco-Packaging isn’t suitable for everyone, but our resolution for this year is to offer as many alternatives as possible, and to promote environmentally friendly alternatives wherever we can. We are proud that all of our Void Fill solutions are now eco-friendly, and are all either biodegradable, recyclable, or both, and we look forward to other categories also being able to boast this quality.